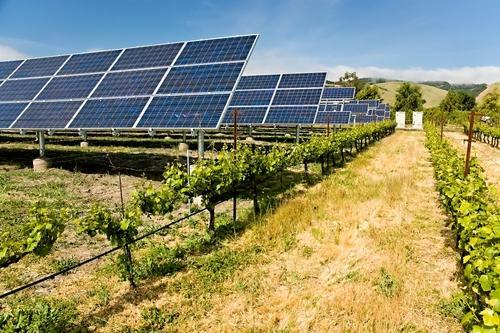 PG&E leads U.S. in megawatts of solar power added to the grid in 2012 | West Coast Solar, Inc. In an April 17 press release, the Solar Electric Power Association (SEPA) – an educational nonprofit organization based in Washington, D.C. – announced that Pacific Gas and Electric Company (PG&E) is the leading electric utility in the United States when it comes to adding solar power to its energy grid. The source states that PG&E connected 805 megawatts of new solar energy throughout 2012, which, according to The Sacramento Bee, is significantly more than second-place company Southern California Edison’s 195 megawatts. This is the fifth year in a row that PG&E has taken the number one spot on SEPA’s list. PG&E serves more than 5 million customers in California, and 60 percent of the electricity that it supplies comes from renewable power resources, explains the press release. Going forward, solar will continue to play a huge role in the utility’s initiatives to embrace clean energy throughout the Golden State. If you’re a California resident hoping to invest in residential solar energy solutions, the knowledgeable staff at West Coast Solar can walk you step by step through a fully integrated construction process. We have an extensive background in the roofing industry and will take care of the entire installation to guarantee that you’re getting the best quality products and services. We’re also happy to answer any additional questions you have that may help inform this important decision.